This time of year in Texas, it’s time for cole crops. 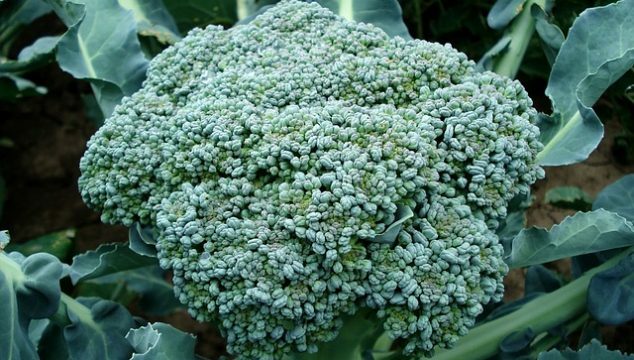 I bought some broccoli and califlower starts in the fall and put them in the garden. Easy peasy. A few weeks later, I was harvesting. The thing is, the difference between the cost I paid for the starts, and the cost I would pay for broccoli at the grocery store isn’t very big. Last year at Mother Earth News Fair, I took a class from Lisa Ziegler from The Gardener’s Workshop. 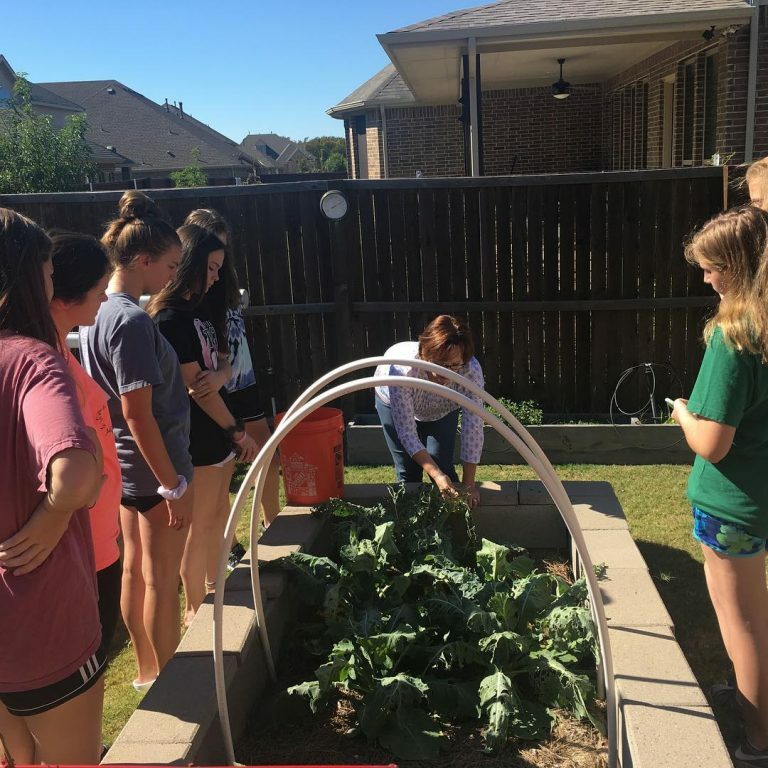 She teaches about soil blocking for seed starting. Last summer I tried my hand at starting some flower seeds and had success. 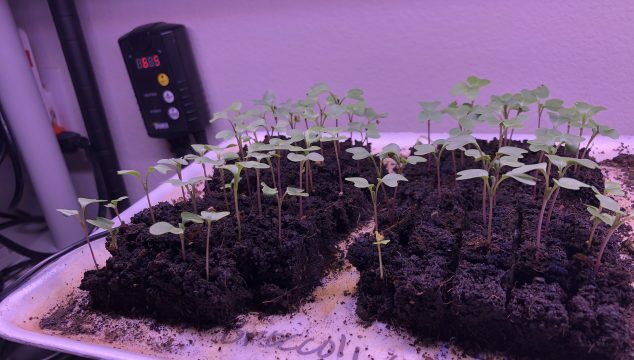 So, I decided to start some broccoli seeds and some brussels sprouts seeds. The pack of seeds was probably $5.00 and I can end up with several dozen plants. Obviously from an economy standpoint, seed starting is a winner. When you go buy starts, you get to choose what the local garden store has chosen to carry. When you start seeds, you can order any sort of seeds and grow whatever variety you choose. The world is basically your oyster when you start seeds. Here is the bigger of the two soil blockers. This is the one you will use mostly. Sometimes when people start gardening they have the foolhardy idea that they will save money on food. If they stick it out a couple of years they quickly realize the error of that idea. Nonetheless, both for economy’s sake as well as that of sustainability, I do try to make use of things that are readily available at home as much as possible in the garden. Here are some of the things available to me that I use in the garden. Grass Clippings: I don’t use chemical fertilizers or weed killers in the back yard. I have my yard man save all of the grass clippings that come from my backyard. They build up in a pile in my garden. I use them for mulching, composting or at the very least they don’t end up in the landfill. Leaves: I live in a new subdivision so we don’t have any large trees. My yard man brings me as many bags of leaves that I can use. This year I made wire cages so that I can fill them with leaves and make leaf mold. I also use the newly shredded leaves for mulch. Egg Shells: I save and dry the shells from the eggs I eat. I crush them up and add them into the worm bin as well as the garden beds when I turn them over in between seasons. Table Scraps: Non citrus uncooked fruit and vegetable scraps are added into my worm bin. If you haven’t looked into vermicomposting, you should. Worms work hard to make fantastic organic fertilizer. Fire Pit Ash: Wood ash adds potassium to the garden soil. Shredded Paper: That shredder at the office can be a goldmine for you! If you have a worm bin, that shredded paper can be soaked in water and used along with those table scraps to make beautiful fertilizer. Rainwater: If you don’t have a rain barrel or two, you’re missing out. Captured rainwater doesn’t have chloramine like your municipal water probably does. Chloramine isn’t friendly to microorganisms, so the more you can water with untreated water, the healthier your soil is likely to be. As much as possible I try to keep a closed loop between my house and my garden. Use what I already have to make my garden better and more productive. I have been feeling for a while that the next frontiers in gardening for me are record keeping and planning. I feel like better planning will allow me to make better use of the space I have to grow. Better record keeping will help me make better improvements year over year as I will more easily recognize wins and losses in the garden. What varieties worked well? How did things go when I plant earlier or later? Sure, over the years I remember as much as I can, but records will remind me of things that I would never remember. The basic thing that has kept me from keeping good records in the past has been time. I haven’t had a good quick system for keeping track of what I did and when and how it did. Same thing about planning. I have played with various apps and websites, but haven’t been really happy with any of them. I know myself well enough to know that if anything is too time consuming, I won’t do it. If I have time to dedicate to my garden, I want to actually be working my garden, not doing bookwork. All difficulties aside, planning and record keeping are clearly the next frontier in my gardening adventure. So, I have to figure it out. Toward that end, I started thinking about what information I need out of a record keeping/planning system. I think basically I need to be able to look up either a specific crop or a given period of time to see what has happened in the past so that I can make decisions about what to do in the future. So, I started with the best thing I could think of. A spreadsheet. I am a big fan of Google Drive because I want to be able to access information from anywhere. On the first tab of the spreadsheet I made a plant list. I listed every crop I’ve grown or that I would like to grow. Then, based on the frost dates in my area, I’ve indicated the dates to sow indoors, or outdoors, and the how long it takes from planting to harvest. Then on another tab, I’ve made a column of each planting area I have available to me. Then across the top, the first row indicates a date range. I made two week chunks. Column 1 is Jan 1, column 2 is Jan 15 and so forth. Then, informed by the dates on the first tab, I made an initial plan for the garden for the year. This chart tells me what plants will “live” in which areas of the garden throughout the year. One of the rows is called “Seed Starting”. 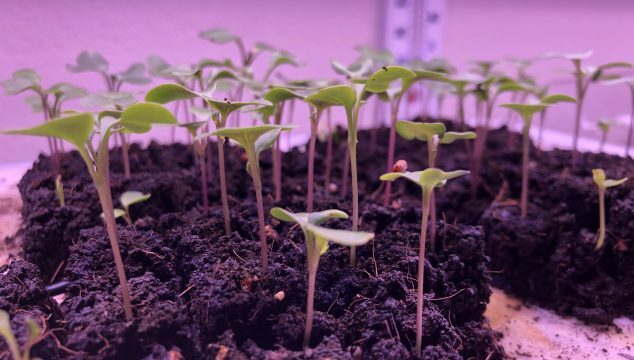 This row will tell me when different seeds need to be started. Here is a link to my garden planning spreadsheet. I’m thinking as the year goes on I’ll start a third tab where I will list which crop, variety, when it went in, how it did and when I pulled the plant. I would love to hear how you do your record keeping! 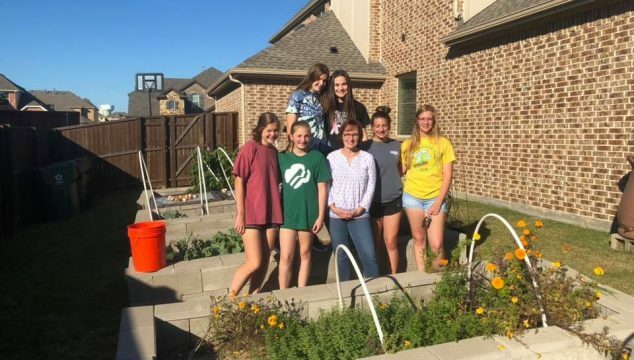 A Girl Scout Leader I know asked me if I would be interested in helping her troop of senior Girl Scouts earn their Locavore Badge. Of course I said yes! I love the mission of the Girl Scouts, and I am all in for talking about Local Food and everything associated with it. Of course I know nothing about Girl Scout badge requirements, so I started with this handy document. First we did a tour of the gardens which are at my house. We just generally talked about gardening and I showed them all of the different things that I’ve done. Then, we loaded up in cars and drove the 5 minutes to the pasture where my chickens and bees are. We talked about the challenges of pursuing these endeavors in our world of HOAs and unfriendly city ordinances. 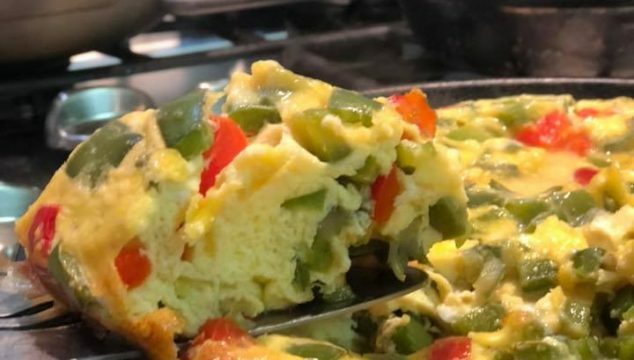 Next, we came back to the house and the girls prepared a recipe for an egg frittata that featured eggs laid by my hens and harvested bell peppers from my garden as well as raw milk from a local dairy along with cheese from the same dairy. They did a great job and it actually turned out really well. While the frittata was in the oven, we talked about local food, the challenges and the how and why. It was a great day and I was so happy to have been able to do it. 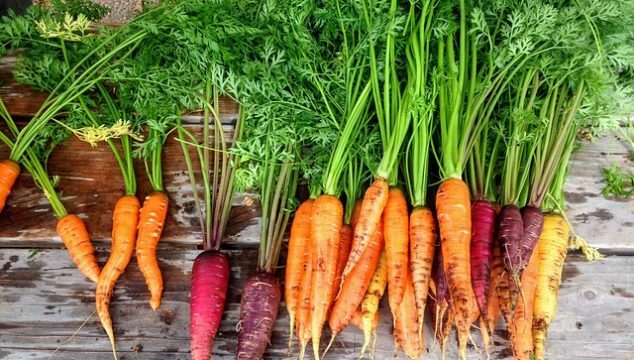 What’s the big deal about local food? Why should you even care where your food comes from? Who cares if it’s from down the street, or across the globe? Don’t we live in a modern age filled with conveniences? What difference does it make where the food I eat comes from? As it turns out, it makes a big difference. You don’t have to look very far to find another article about greenhouse gasses and climate change. Regardless of what you believe about it, certainly it makes sense to be good stewards of this earth. Does it make more sense to eat what is already in our local area, or to use a finite resource (fossil fuels) to move it across the country or the globe so you can have save a little bit on a cantaloupe? Anyone who has ever compared the flavor of a homegrown tomato to a store bought one can tell you that the flavor isn’t in the same ballpark. Fruits and vegetables allowed to ripen on the plant and eaten closer to harvest time will always taste better than those picked well ahead of time to allow for shipping time. Not only will local taste better, but will also be more nutritious. The longer a plant is able to mature, the more nutritious the harvest will be. Also, as soon as you harvest, nutrition starts to be lost. The sooner you eat it, the better. When it grows closer to you, this is easier. When you seek out and support local food, you support the local economy. Rather than sending your dollars to a far away mega corporation, support that sweet family 20 minutes from your house who lives on a few acres and is trying to make a living with some chickens, some fruit trees and a few gardens. Speaking of a few across close to your house, don’t you want to play a part in preserving some land near you that is neither a parking lot or a strip mall? The fact is that you vote with your dollars. You get to vote every day what kind of world you want to live in. Every one of your dollars supports something. You get to choose what that is. Be mindful about what sort of world you support with your spending. 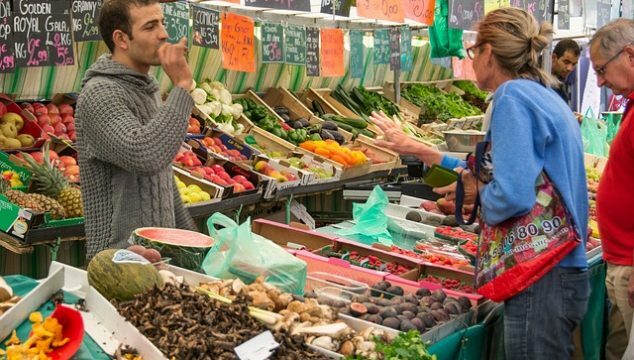 So what steps can you take to put more local food into your life? We are all so accustomed to being able to eat whatever we want, all year long. We also want to be able to go to one big supermarket and get everything we need. So how do we start to make a change? Probably the first step would be to decide to, when faced with a choice, resolve just to make the better choice. While you’re at that big grocery store, eat the food item labeled to have been grown in your state. Or, eat what’s in season rather than those grapes flown up from South America in January. Become familiar with what is in season in your area during each month of the year so yu can make smart choices. Try a short term challenge. The Living Homegrown podcast recently aired an episode with Andrea Bemis where they talked about a Local Thirty Challenge where you commit to eating only local food for thirty days. If you don’t feel you can do thirty whole days, then do a week. Can’t commit to only local everything? Then commit to just local produce. Just try something. Start with a small change and see what happens. Finally, support agriculture in your town and neighborhood. Do you live in an HOA? Start a movement to allow Backyard Chickens. If you want local food, you need to be willing to see it being grown. What does it hurt for attractive food crops to be grown in landscape beds in the front yard? What does it hurt to have a couple of chickens in the back yard? Support your neighbors and their steps toward sustainability and away from dependence on the industrial food system.